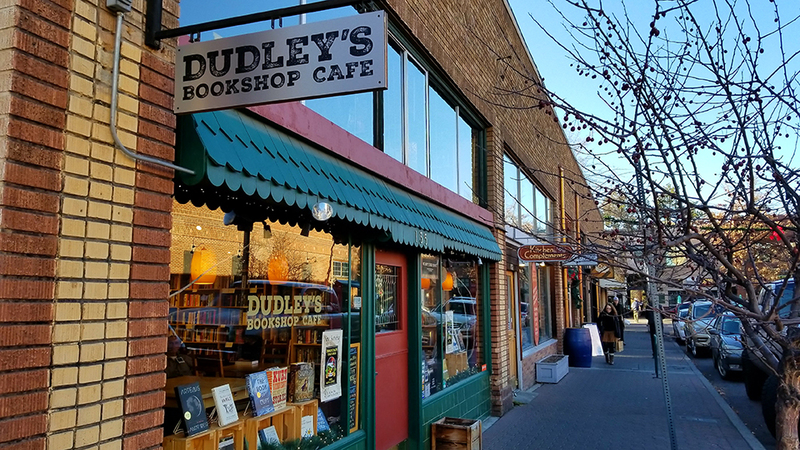 Tucked into a quaint brick building in downtown Bend, Dudley’s Bookshop Café is more than a bookstore; it’s a place to gather and to linger. Of course, books are the primary draw, and Dudley’s offers a carefully curated selection of the latest titles and authors featuring literary fiction, guidebooks, western history, adventure & exploration, and sci-fi & fantasy. New and used books are sold here and all new hardbacks are 20% off, all the time. Take your time roaming the stacks, pick up a new title, and then head to the café, where the barista is pulling shots of Guatemalan and 100% Kona goodness all day long. Non-coffee drinkers will find a tempting selection of teas from local favorites T’s Tonics, Jasmine Pearl, and Metolius Artisan Tea. On weekend evenings it’s not uncommon to hear live music from Dudley’s spilling out into the street. If you’re looking for a quiet space to meet, think, or write, Dudley’s is a most welcome retreat. Above the shop is an entire floor of used books with desks or tables, chairs, outlets, and large windows that face the street below and let the daylight pour in.